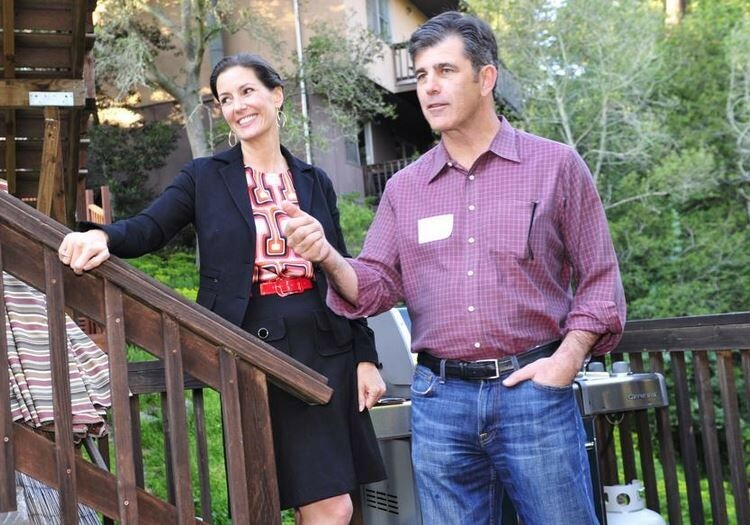 Libby Schaaf and John Protopappas at a 2014 fundraiser. To pay for Oakland Mayor Libby Schaaf’s inauguration festivities, a shadowy group of her supporters created a nonprofit corporation and collected $88,000 from individual, and possibly corporate donors. But who made these contributions, and how much they gave, is a secret. Called Made In Oakland, the organization is a dark money group, a 501(c) 4 entity organized under the same section of the federal tax code used by other shadowy political groups nationwide. Under current law, 501(c) 4 groups can keep their donors secret. Groups like Made in Oakland, which was incorporated specifically for an inauguration event, are not allowed to make expenditures to benefit a candidate or ballot measure. The use of private nonprofits to pay for events, and in some cases to even pay rent and travel expenses for elected officials, has been criticized by good government watchdogs who say the practice appears to confer undue access or influence on those who give money. Made in Oakland was established by John Protopappas and Steve Berley, two Schaaf supporters who are also the only directors on the group’s three-person board. The mailing address for Made In Oakland is listed as Protopappas’ Madison Park Financial offices in Oakland. 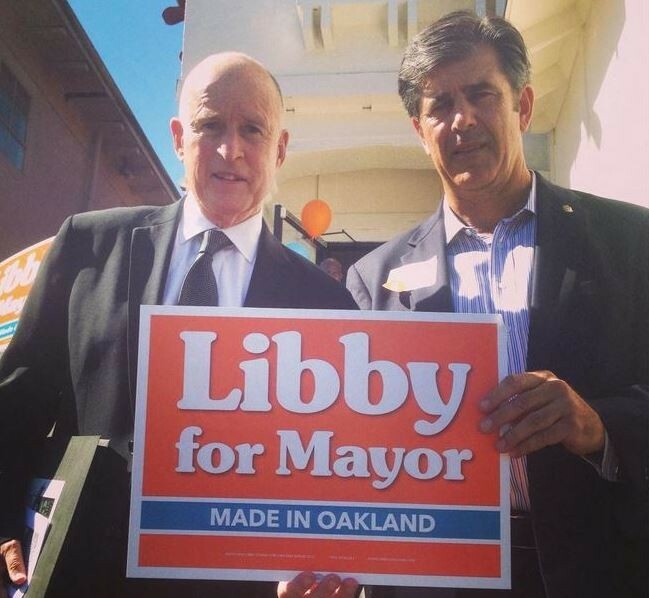 Protopappas, an Oakland real estate developer and close friend and supporter of Governor Governor Jerry Brown, also recently served as the finance chair of Schaaf’s 2014 mayoral campaign. Protopappas and his family members contributed $1,750 to Schaaf’s mayoral campaign committee, according to city records. Protopappas has multiple major real estate projects in the planning phase which will require city approvals. Neither Protopappas nor Schaaf's office immediately responded to requests for comment. In addition to serving as Schaaf’s mayoral campaign treasurer, Berley, who lives on the same street as Schaaf in Oakland’s Oakmore neighborhood, contributed $700 to her campaign — the maximum allowed under city law. Berley runs a technology consulting company called the Oakmore Group. Governor Jerry Brown and John Protopappas at a Schaaf campaign event last year. Thomas Willis, an attorney with Rechmo Johansen & Purcell law firm of San Leandro, which incorporated Made In Oakland, told the Express that the group made a policy decision not to disclose its list of contributors. Willis did say, however, that Made In Oakland spent $83,000 of the $88,000 it raised on inauguration events, and on transition expenses for Mayor Schaaf’s incoming administration, leaving only $5,000 in its bank account currently. The group's tax return is still being processed and was unavailable for review. Made In Oakland isn’t the first nonprofit Protopappas has been involved with that pays expenses for politicians. Protopappas sits on the board of a private foundation that pays the rent on Governor Brown’s Sacramento apartment. Called the Governor’s Residence Foundation of California, the nonprofit was created by George Kieffer, a Los Angeles attorney whose clients have significant business before the state. The Residence Foundation’s 2013 tax return shows Protopappas on the board alongside Zack Wasserman, an Oakland attorney who represents real estate developers, among other clients. In 2011, Protopappas incorporated another 501(c)4 organization called the Governor’s 2011 Inaugural Committee, Inc. That group raised half a million to pay for Jerry Brown’s inaugural events. The only known contributions to Made In Oakland were $15,500 from Schaaf’s mayoral campaign committee, and a $700 contribution by OakPAC, the Oakland Chamber of Commerce political action committee. Both contributions were disclosed in campaign finance reports that those groups filed with the City Clerk’s office. Update: 8-7-2015, 11:29 am: Oakland Mayor Libby Schaaf told the Express that she is unaware of who contributed funds to Made In Oakland. Schaaf said, however, that she requested the group not accept contributions over $2,500 from any single source in a single year, and that the group not accept contributions from anyone who would be barred from making a contribution under Oakland's contracting laws.